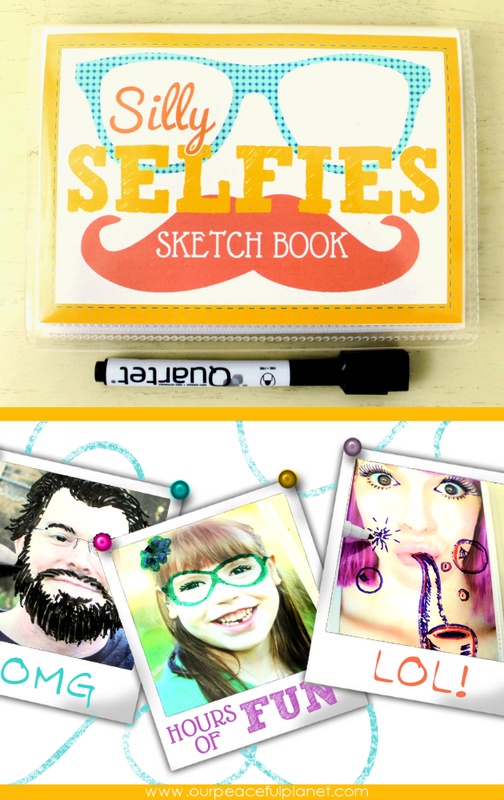 Make a Silly Selfie “quiet book” in just 15 minutes! All you need is a small inexpensive 4×6 mini photo book and some dry erase markers. This amazingly simple project is guaranteed to provide hours of entertainment to kids of all ages! Customize with your favorite photos and let the fun begin. It’s a perfect travel activity too! Looking for more fun activities for both kids and adults? Check out our Mini Toy Box in a Drawer! Such a cute and fun idea. Who wouldn’t love this? Thanks for the fabulous ideas and for sharing your creativity at DI&DI. This is so much fun that I decided to feature it at Diana Rambles tomorrow. Pinned it also! Next: How to Make an Unbelievably Easy & Stylish Hold the Door Sign!